Writing a novel is a daunting task.And being an author, I know that very well. However, reviewing is also a tough ask to do. If it is not equally hard as writing a book, it is not a cakewalk as well. I review the titles for you...so that you get exemplary books in your hand which can make your day, or even life. Written by Author of Me and She Square: a story of romance, remorse and reincarnation. X-FACTOR: Reality of life revealed. I have not written a single review for weeks now; the reason is that I was reading something which is really hard to finish quickly. The depth and reasoning of this book is almost unexplainable. I am not talking about a book written by some unknown or renowned author. I am talking about a book which is one of the pillars of Hinduism and which was narrated by a god himself while written by one of the wisest brains of his era, Maharishi Ved Vyasa – I am sure most of the Hindus or people who study about Hinduism could have guessed, The Gita. 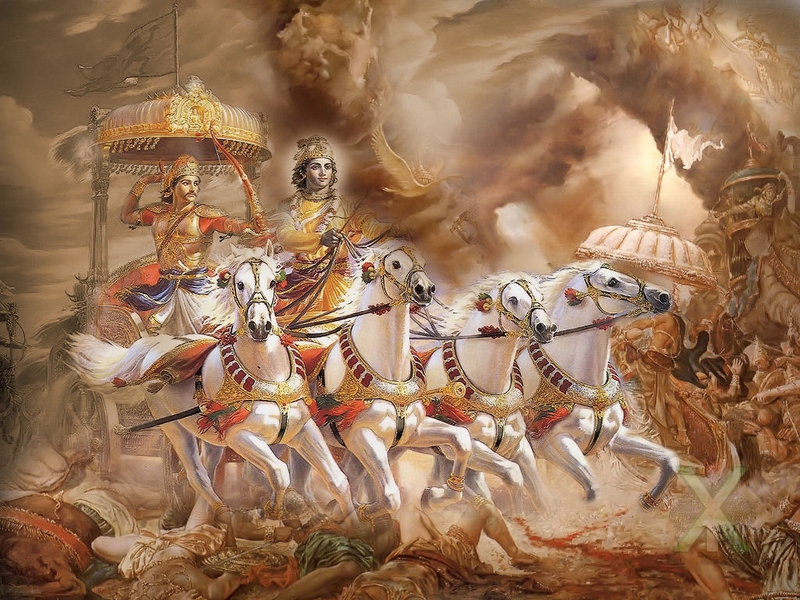 THE BELIEFS: Before we get into the beliefs of ‘The Gita’, it is essential to know few facts about the narrator. Apart from the fact that he was the incarnation of Vishnu, he was known to be very tactful and mischievous god, someone like ‘Loki’ from Greek mythology. Though unlike ‘Loki’ Krishna used his tact and tricks for goodness but as we all know the victorious is never villain because he supervises the facts and history being written in his era. Who knows if ‘Loki’ could have won the battles against ‘Thor’ then he may have projected himself as the good one and Thor as the villain. Disclaimer: If ‘Bhagavad Gita’ had been the base of our lives, there would have been no AC, TV, Cars, different dishes and so on. So, try and follow it partially, until you don’t feel the burden of teachings. And yes, all the views written are my personal opinions and I have no intentions to hurt someone’s emotions. As far as ‘Hinduism’ is concerned, it is far away from being graced or disgraced, nobody has the capacity to do so. A common Indian probably almost like you. Have a nice day!